This is a very important topic because there are so many things that may not seem hazardous but are quite dangerous to people and our environment. It’s important that you properly dispose of household hazardous waste. Having said that…do you know how to tell what’s hazardous and, more importantly, what to do with it when it’s time to dispose of it? Below, you’ll find some helpful information to assist you in making those decisions. If you are ever in doubt, please call a local professional like Junk Bros and let us handle the disposal for you. A reputable pro will make sure you’re protected and the environment is safe from these toxic items. The authority on hazardous waste is the US Environmental Protection Agency, or more commonly referred to as the EPA. According to their website, they define solid waste as hazardous waste if it meets one of these four characteristics: ignitability, corrosivity, reactivity, or toxicity. This is a bit simplified as there are more issues to consider, but these four characteristics are basically the driving factors of what defines hazardous waste. 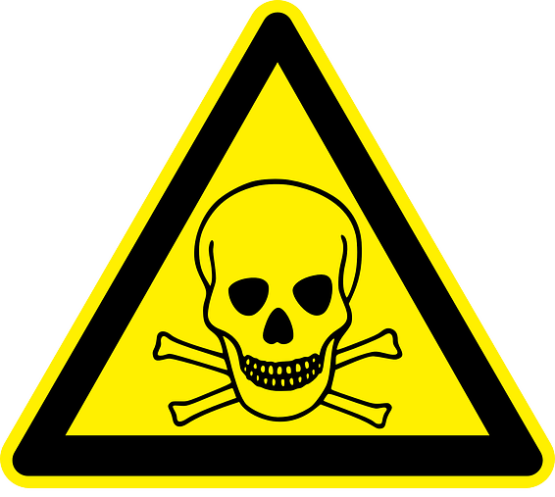 Here’s a direct link to the EPA’s site entitled: Defining Hazardous Waste. It’s worth your time if you are thinking about dumping anything that exhibits one of the four characteristics listed above. Now you can ask yourself some pretty simple questions about the items you are about to dump. That old lawn chair you’re about to throw away is pretty safe! What about the old projection television? Are you sure you know what’s inside that may be hazardous? They are in fact hazardous as most, if not all, contain a mercury lamp that aids in viewing. It must be properly disposed of or recycled. So now you have identified waste as being hazardous…what do you do? First order of business is to determine what exactly you have that is likely to be considered hazardous. Once you figure that out, it’s time to get online and let your fingers do the searching! Let’s say you have 4 or 5 old car batteries that need to be dumped. You KNOW these are hazardous because they are corrosive at a minimum and likely toxic (not to mention ignitable and probably reactive). A simple search in your hometown will give you a list of companies that will handle these batteries for you. What about 10 paint cans that are each about half-full? Once again, a search brings up several alternatives in your local area that will provide responsible disposal of your waste. The big question is “what if you have multiple types of hazardous waste and don’t have all day to take them to different recycling/disposal locations?” Good question! That’s where your local pro comes in again. They can handle just about anything you’ve discovered in the dark corners of your garage or workshop. Check with them to find out their limitations as some companies may not be able to handle certain items. The moral of the story? Take the extra time to determine if something is hazardous and if it is, dispose of it responsibly. Our planet and its inhabitants will thank you!